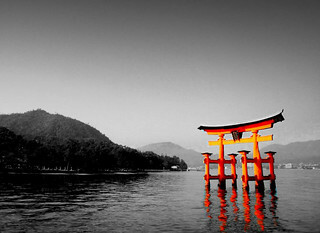 Itsukushima (Miyajima), Hiroshima, Japan. I've been to Japan twice, and my favorite place is Hiroshima. There is a lot of history there due to WWII, and the famously photographed Isukushima Gate is nearby.